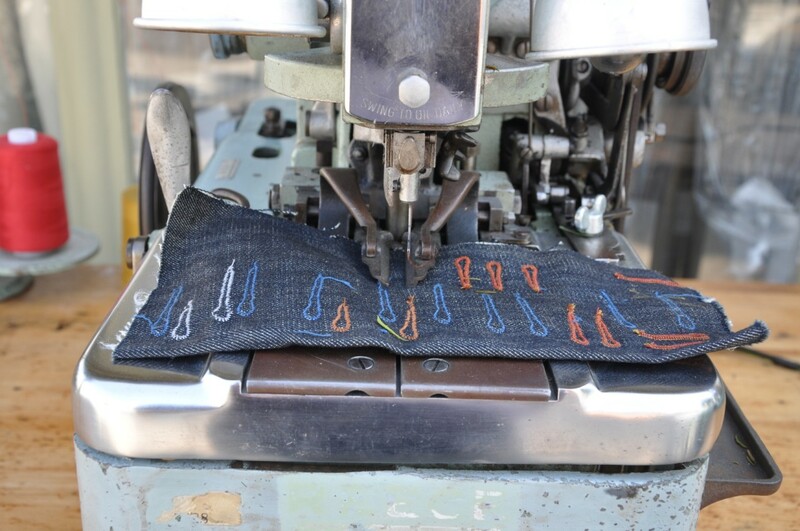 While making my own denim sample collection, its been clear to me, from the start, to try and get all the correct machinery. The love affair with all things old, has led me to "The Iron Duke" The Reece 101. 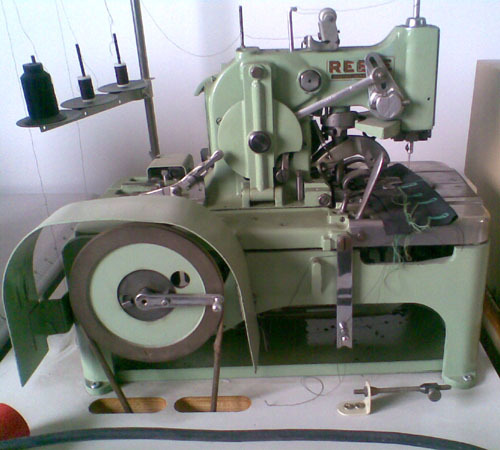 This Chain stitch button hole machine, is one of the most respected, best-known models. These monsters have been the standard for keyhole chainstitch button holes for ages and recognised through-out the industry as probably the best keyhole machine ever made..
One of the main reasons why its so popular, is because of a few details that makes this wonderful machine stand out. Its one of the 1st machines capable of sewing an imitation hand stitch buttonhole, with a top gimp attachment. 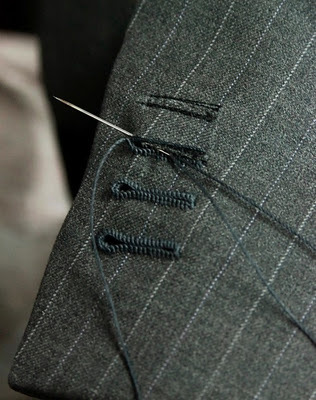 The hand hole is, without a doubt one of the best buttonhole you will see anywhere and it gives the appearance of a hand sewn buttonhole. Getting hold of one is fairly easy, ( lots of ebay) plus many online sellers - Mainly because so many of these bad boys have been made. Just like the Union Special 43200Gs most of the Reece 101s have now found there way to China in mid 80's. Of course spending upwards of 3000GBP > 10,000GBP is a big commitment for anyone... Luckily there are many sewing specialist companies reconditioning and rebuilding these monsters - specialist jobs which the machines are stripped down, reconditioned or rebuilt, repainted, reassembled & tested by experienced specialist Reece trained engineers - crazy!. They are Reconditioning and rebuilding many... some which look brand new after the rebuild ! 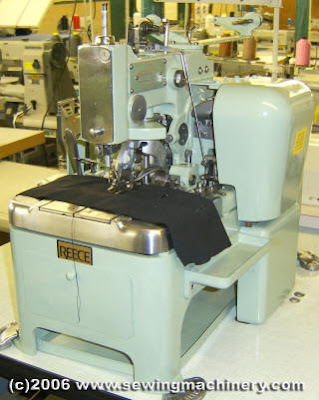 Ive just ordered my 1st Reece 101, its a old beauty, but personally i don't think its sacrilege to just use a old 1950's Singer buttonholer to do this job... esp if its a few pieces to show a client... but if gonna do it right, i say invest in the 101 ! Below is a 1950's Singer Buttonholer and comparisons vs Reece 101- For me this was the easiest / simplest way to get a key hole button hole, (when i started) I always knew i would need to jump to "chain stitch" later, as they look so much more better - but, after my business kicks off, buts its a good logical step before i invested in the Reece 101 esp if you want your products to look professional. Its easy to see how neat the Reece 101 is compared to others.. esp domestic Singer buttonholer - note the nice chain stitch on the front side on the Reece 101.